BookMarketingBuzzBlog: Where Do You Find Book Reviewers? Where Do You Find Book Reviewers? Book reviewers are everywhere – in print and online. But it can be tough to get a review in the elite publications like the New York Times Book Review, USA Today, Wall Street Journal, Publishers Weekly, Library Journal, Booklist or Kirkus Reviews. So where should one seek out book reviewers? 1. Get a paid database, such as Cision. But assuming you can’t afford that, or knowing you must supplement it, search online for more options. You will just need to research their contact information. 3. Go onto Book Blogger Directory. 7. List your book on NetGalley. 9. See giveaway sites like Shelfari, BookLikes, and Library Thing. 12. Another one to look at is www.BookBloggerList.com. The book marketing world is quite large and diverse. Book reviews, paid email promotions, book giveaways, ads, and media exposure are just some of the many ways to provide exposure for you and your book. Experiment and persist ahead! What will move an author to actively promote his book? Which messages should authors convey to the news media? Do authors really promote the benefits of their books? Brian Feinblum’s insightful views, provocative opinions, and interesting ideas expressed in this terrific blog are his alone and not that of his employer or anyone else. You can – and should -- follow him on Twitter @theprexpert and email him at brianfeinblum@gmail.com. He feels much more important when discussed in the third-person. This is copyrighted by BookMarketingBuzzBlog ©2018. Born and raised in Brooklyn, he now resides in Westchester. His writings are often featured in The Writer and IBPA’s Independent. 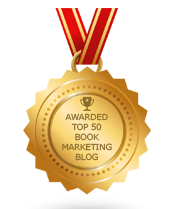 This was named one of the best book marketing blogs by Book Baby http://blog.bookbaby.com/2013/09/the-best-book-marketing-blogs and recognized by Feedspot in 2018 as one of the top book marketing blogs. Also named by WinningWriters.com as a "best resource.” Brian recently presented a panel on book publicity for Book Expo America and spoke at the Sarah Lawrence College Writers Institute PR Panel. Will You Get A Book Tattoo? Should We Have Summer Writing Camps For Kids? What Must Authors Consider When Marketing A Book? Why Are Writers Getting Poorer? What Kind Of Bookworm Are You? Freedom Of The Press Fireworks! Is Great Book Marketing Advice Wasted On Authors?